This is a reissue (vinyl) of a recording that originally appeared on India Navigation in 1975, a quintet led by alto saxophonist/flutist Braufman with Gene Ashton (piano, dulcimer), Cecil McBee (bass), David Lee (drums) and Ralph Williams (percussion). Ashton would soon change his name to Cooper-Moore and this, in fact, Cooper-Moore's first recording. As one might gather from the song titles ('Love Is for Real', 'Ark of Salvation', 'Destiny', etc.) this falls squarely in what one might think of as "Spiritual Jazz", following a path laid out by Don Cherry, Pharoah Sanders and others. That said, it's a very strong example of the genre. The rhythm section keeps things boiling (McBee, not surprisingly, is a huge help and has a lovely solo feature on 'Miracles'), referring to Central African music in a piece like 'Thankfulness', anticipating similar approaches a few years on from groups like Bengt Berger's Bitter Funeral Band. 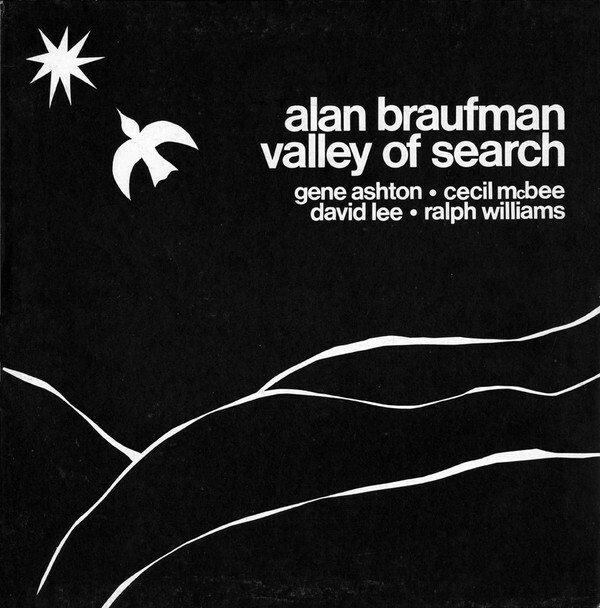 Braufman himself is quite a powerful player, notably on the aforementioned 'Love Is for Real'--think of a more visceral Arthur Blythe. A very fine recording, really not a weak moment to be found and an exemplary session from New York in the mid-70s, very much in the spirit of the times. I missed it the first time around, very happy to have it available once again. 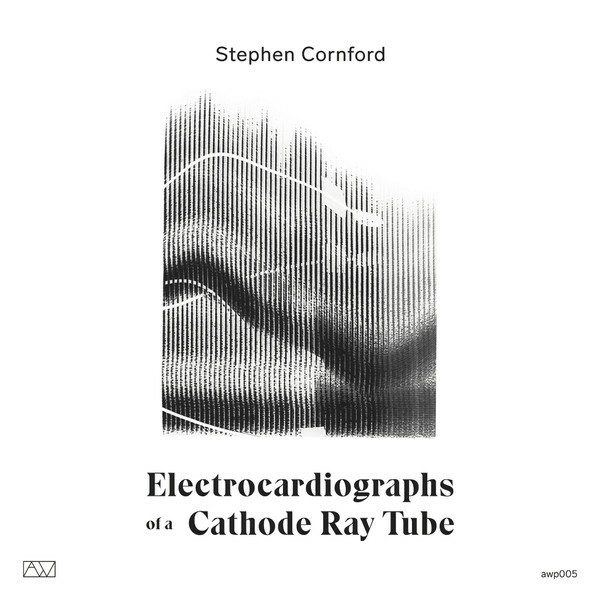 A 7" vinyl single which offers two tracks derived from the CRT of an old TV set. Without that information, I might have guessed the sounds to be coming from the jostling around of a jack in its socket, a series of sharp clicks and staticky hums. At first gloss it seems that that's "all" there is, but these are fascinating pieces. The more one listens, the more shades of color one hears, the more pattern relationships are discerned. 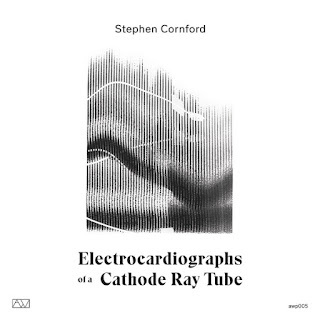 Though both tracks are severe and reside in similar territory, there are differences, the second pitched somewhat lower and, for me, carrying a greater amount of regularity in its (quasi) rhythmic sequence, an underlying dark hum with sputters atop that erupt in a high squeak. The first has its own rhythm as well, but the texture is gnarlier. Again, listening multiple times (easier, give the brevity of the release), one parses out layer after layer of variation within a very confined stratum. This won't be everyone's cuppa by any means, but I got very much into it. The folks at Lenka Lente produce releases like no other publisher I know, generally integrating text and sound in some manner. 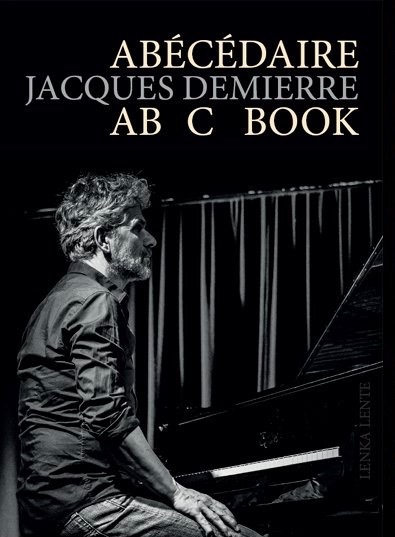 This one combines essays by pianist Demierre, arranged alphabetically by title, utilizing most of the alphabet. 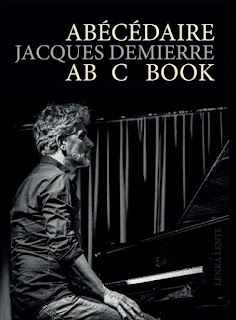 The texts are offered in both French and English, are generally a page or two in length and cover a range of subjects of interest to Demierre, including performance strategies (solo and in ensembles in which he participates, including LDP with Urs Leimgruber and Barre Philips, and DDK, with Axel Dörner and Jonas Kocher), thoughts on listening, on philosophy and its intersection with music and much more. The CD is something else again. Demierre's piece, 'Ritournelle' is spoken word, in a sense, the words derived from Wilhelm Müller and Franz Schubert's 'Winterreise', specifically the final song, 'Der Leiermann' ('The Organ Grinder'). Demierre extracts certain words, mostly (though not all) one syllable in length and breathlessly recites them in a fast, regular rhythm, repeating a given word numerous times before passing to the next, gulping for air on occasion. The insistency of the text, which is printed in the middle of the book, makes for extreme variations in tone as breath gives out, spittle intrudes and, one imagines, an amount of exhaustion sets in. It's mesmerizing, like a rough, raspy drone. After a while, you (maybe) stop hearing the voice/words and just let the odd sounds march by. I can't say I love it, but it's certainly intriguing. ALL THANKS TO DR WILLIAMS WITH HIS HERBAL PORTION I WAS COMPLETELY CURED FROM A TERRIBLE TINNITUS. How can I ever stop thanking Dr William for the great deed he have done for me, i got an accident when I was 27 years old, from that day on i started experience ringing ear (tinnitus) i have taken all the western drugs prescribe by various doctor but to no avail . my tinnitus was very loud in the afternoon and I sleep less at night because of this problem i stop my work, few days later i was going through the Internet and I saw a post of so many people testifying about Dr William herbal remedies on how they was being cure for over many years suffering from tinnitus the story Really motivated me that I have to speak with my husband about it, and he said i should give him a try, i contacted Dr William and explain all i have be facing in my life. He assured me that everything is going to be fine if only I can get his herbal portion, i said yes and I requested for it, few days later the herb was sent to me in Kuwait,i started using it as instructed by Dr William for me to take it for 21 Days which I did, can you imagine after talking Dr William herbal medicine for just two weeks i started experience results, it was like a miracle,and now i am permanently cure from this terrible tinnitus, i promise that am going to publish his herb on thing my last breath for the great deed he have done for me. For those with similar ear problem should please contact him on his email address drwilliams098675@gmail.com his a good man and am proud of him.